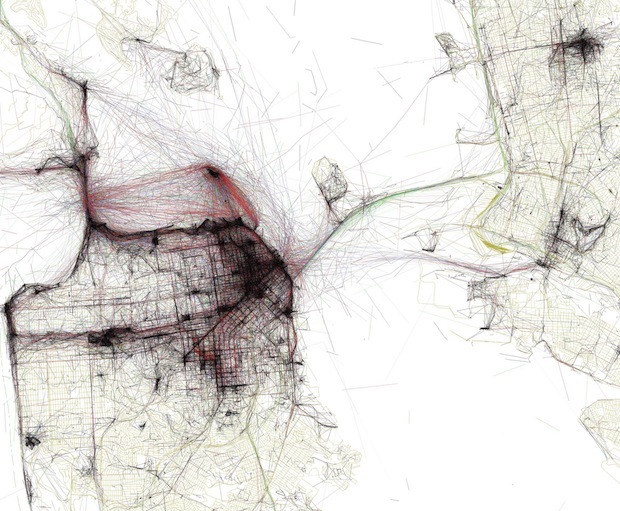 Photographer Eric Fischer uses Flickr’s geotags to create city maps that show the places of intense human interest. Update: Fischer has added some fascinating tweaks to his mapping technique–check them out at the bottom of this post. 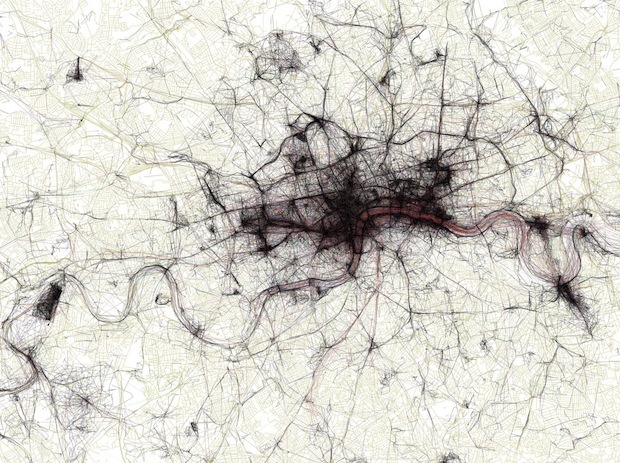 We’ve seen maps of photographic activity around the world, and maps of traffic activity in a city, which reveal how heavily roads are used. 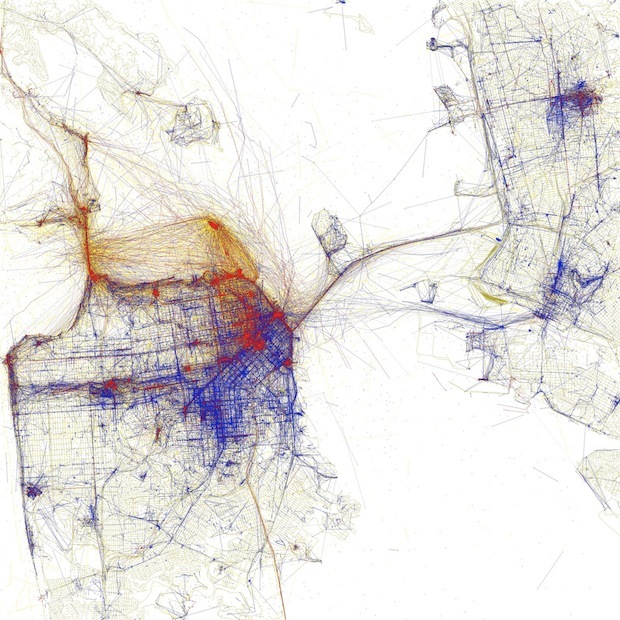 And now, photographer Eric Fischer has combined both ideas, creating maps of 50 different cities around the world, using only the geotags of photos uploaded to Flickr and Picasa. 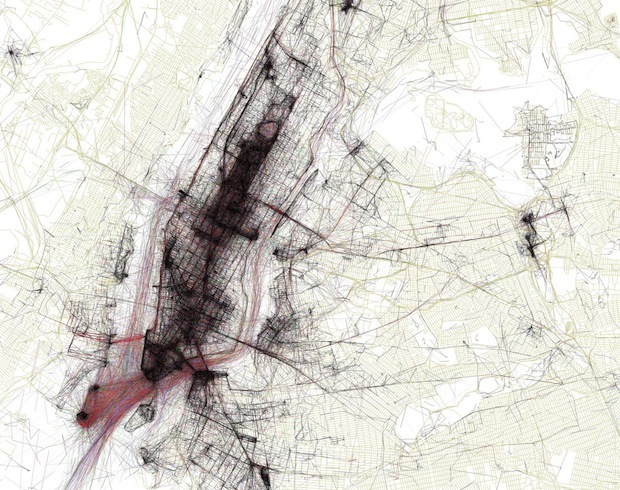 What emerges are basically maps of human interest–that is, all the places fascinating enough that someone decided to take a picture. Above, the map for New York, with Manhattan in the center. 43mph); Green is freeways or rapid transit. Cool as these maps are, you’ve gotta wonder at all the possible ways they could be expanded. What if the pictures were color-coded by time of day? Or simply dropped into an animation? Then you could see waves of local interest, as the daytime tourist hordes give way to drunk people snapping party pictures. To see the entire series, check out Fischer’s Flickr. The cities are ordered according to how densely clustered the photographs are (and hence, how detailed the maps are). 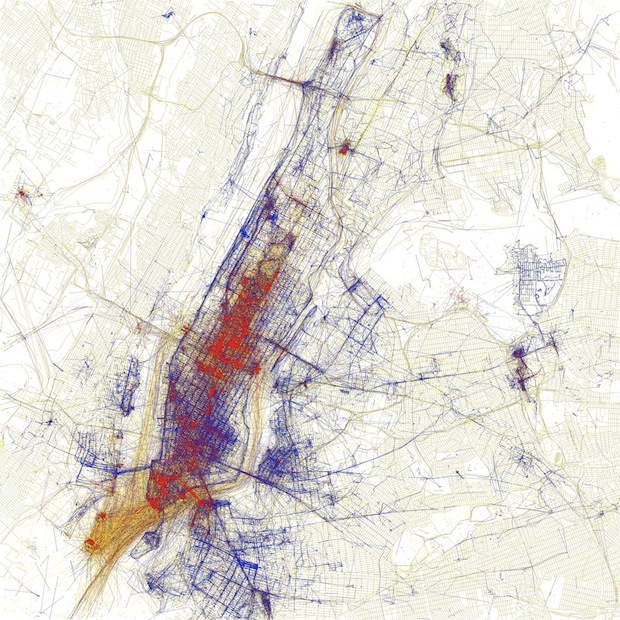 Using a bit of ingenious reasoning, Fischer has managed to create maps showing which pictures were taken by tourists, and which were taken by locals. Fischer’s thought process: If a user took pictures in a specific city for only less than a month, she’s probably a tourist. If she took pictures over a period longer than a month, she’s probably a local. Clever, right? What you get are some elegant maps that fit neatly with your intuitions about where locals flock versus tourists.